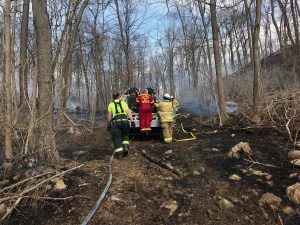 On Saturday March 30th, the members of the GTFD were dispatched to a reported brush fire on Airport Road near Whitehall. 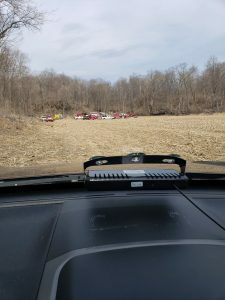 Upon arrival of the first officers 95-4 and 95-2, both reported a active brush fire with approximately one acre involved and spreading. 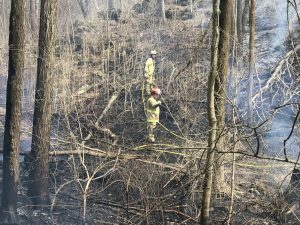 Mutual aid resources from Byram, Andover Boro, Andover Township and Fredon as well as NJ Forest Fire Service were requested at the scene. 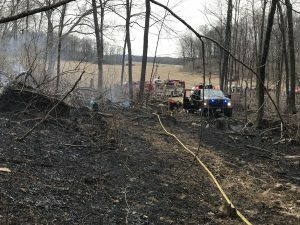 Forest Fire arrived shortly after dispatched and put their teams to work along with a helicopter to perform water drops which helped to contain and extinguish the blaze. 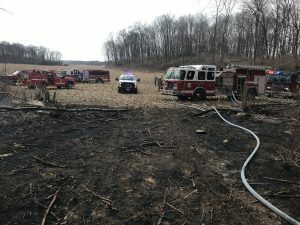 Thanks to all who assisted at this scene.